I have barely done any recipe Wednesday’s all year!! I haven’t been very creative in the kitchen recently, just sticking to my tried & true faves. This recipe, however, was def a new one in the kitchen thanks to meal delivery service, Hello Fresh. 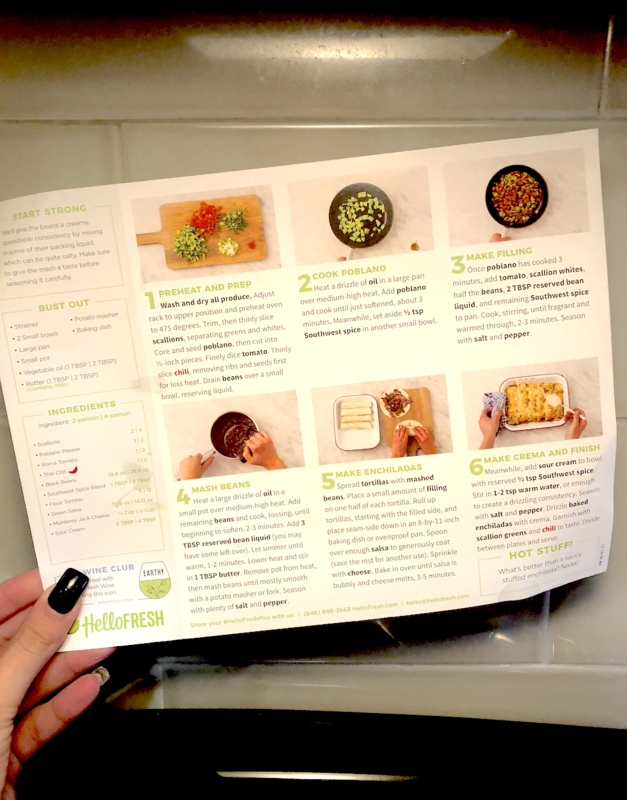 My bestie’s sister passed along a free box code to me, and I’ve been wanting to try Hello Fresh, it was perfect timing! We opted for three vegetarian meals, so I’ll be sharing the other meals in upcoming weeks. 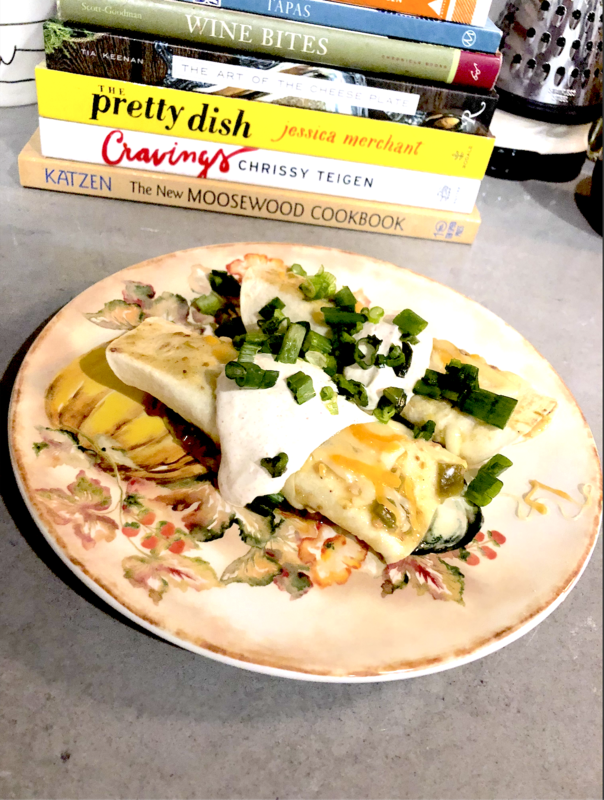 The first recipe I made was the Salsa Verde Enchiladas & breaking news, they were delicious!! 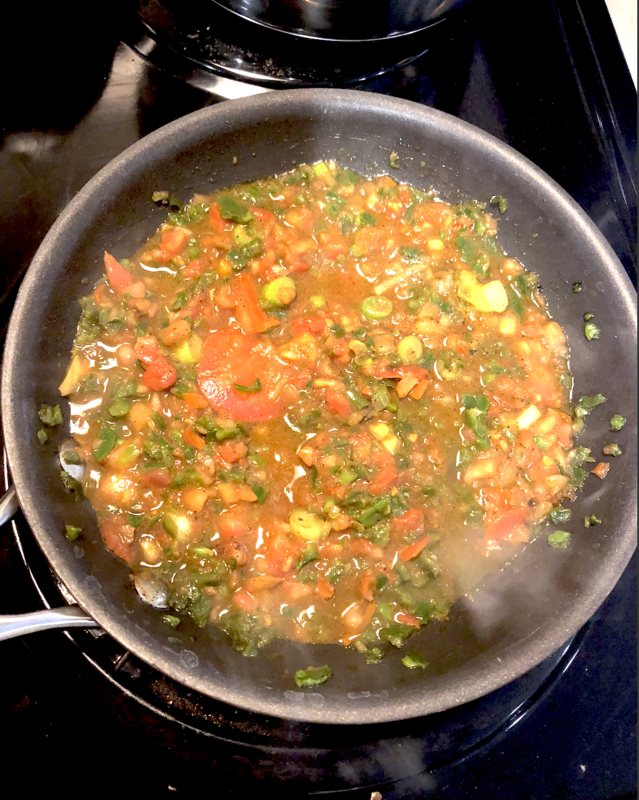 It was so easy to whip up the veggie filling, I chopped up the poblano pepper, tomato, and chili. I love the OXO Good Grips Chopper, I’ve had it for years, and it hasn’t dulled much at all! Heat up the veggies for about 5 minutes & add in most of the seasoning, along with some of the bean liquid. Heat up the black beans, season with salt & pepper, and add a few tablespoons of the black bean liquid from the box. Once it was heated for about 6 minutes, I mashed them & we were ready to go. I placed the black bean filling, and the veggie filling, on the tortillas and wrapped ’em up. Doused them in the salsa verde & cheese, and popped them in the over at 325 for about 7 minutes. 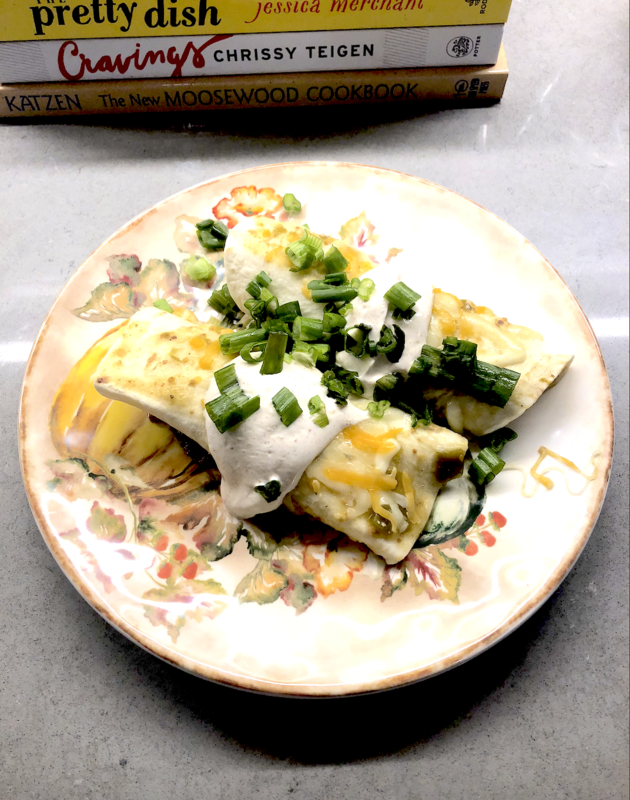 While the enchiladas were in the oven I mixed the sour cream and the rest of the Southwest seasoning together, and topped the enchiladas with that and the sliced green onions to finish it up. 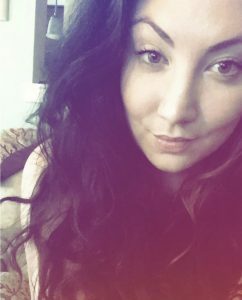 All in all this took about 25 minutes. 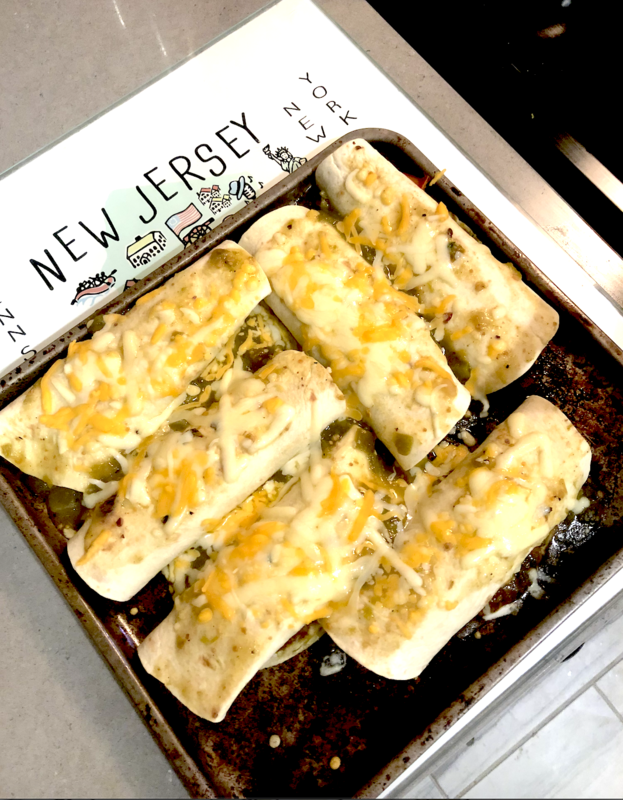 It was so incredibly easy and I was able to clean up the kitchen while the enchiladas were in the oven. I didn’t have to use many kitchen tools, so clean up was a breeze! The serving is for two people, a total of 6 enchiladas. I only ate two, so it was also lunch the following day, which is great! 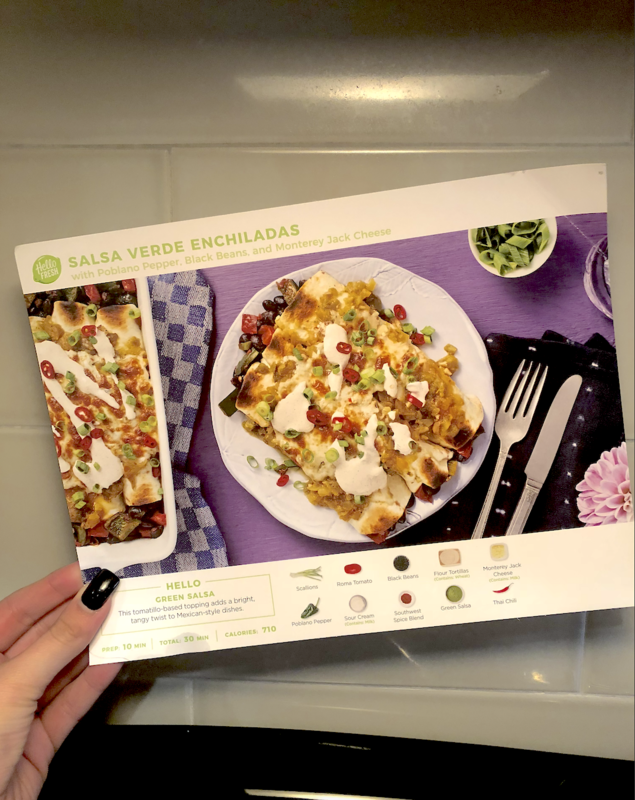 A great thing about Hello Fresh is that they have vegetarian and kid friendly plans. The only thing I don’t love about it is that shipping is $6, but with the $20 off the first three months promotion Hello Fresh is running, it’s worth giving the service a try. I was so pleased with my first meal, and I’m really looking forward to trying & sharing the other two meals. Also, in doing some meal delivery research, Hello Fresh seems to be the best in the game. Stay tuned for more Hello Fresh recipes!